Media coverage of Puerto Rico focuses on unpayable debt. It steers clear of Puerto Rico as colony. Yet an independence struggle has continued there for at least 150 years. 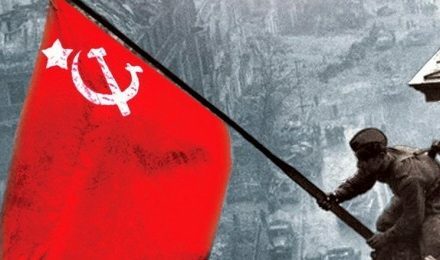 A tipping point came in 1950 when Nationalist Party launched armed rebellion. It failed, and independence agitation subsequently has lagged due to repression, swelling emigration to the United States, and Puerto Ricans’ growing economic distress and dependency. Nelson A. Denis’ book lays bare Puerto Rico’s colonial status. He looks much more at U. S. repression than other historical markers of a troubled relationship. As proclaimed by the book’s title, repression really means U. S. war. The island police chief E. Francis Riggs spoke words appearing there in 1935 as he explained why his police had just murdered four residents of Río Piedras. Denis’ vivid language succeeds in highlighting the horror marking U. S. counter-insurgency actions against the Nationalists, who were moving toward open revolt. A comprehensive survey of facts and events becomes a rich history. Denis’ portrayal of obsessed, flamboyant, and even bizarre personalities is particularly memorable.The narrative gains dramatic effect through the author’s device of serially presenting seemingly unrelated reports without making correlations. Then connections become clear as the climax approaches. “This is not a pretty story,” cautions Denis, adding that, “If it helps you to understand the world in which we live, then I have done my job. The rest is up to you.” Indeed, he gets high marks for elucidating U. S. methods for moving from theft of a homeland to depriving Puerto Ricans of their cultural, economic, and political autonomy. Not least, this valuable book sends a reminder to U. S. anti-imperialists that a genuine U. S colony lies close at hand. The emotional intensity of Denis’ narrative may stem in part from a personal connection. His mother had migrated from Puerto Rico, and the FBI in 1962 entered the family’s New York apartment and seized his Cuban-born father, who was then deported. Denis was eight years old and never saw his father again. That was why he became a lawyer, he explains. Over the course of 40 years he sought out first-hand information from former Puerto Rican Nationalists and other independence activists. He eventually gained access to mountains of U. S. intelligence files on Puerto Rico. 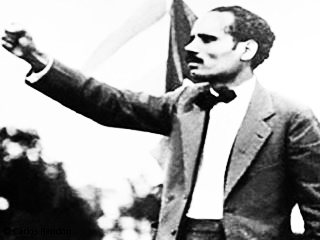 Pedro Albizu Campos, president of Puerto Rico’s Nationalist Party from 1930 on, is the book’s central figure. In fact, Denis says, “the story of Albizu Campos is the story of Puerto Rico. It is also the story of empire.” Orphaned and poor, Albizu was the first Puerto Rican to attend Harvard College and was valedictorian of his law school class there. He spent 25 years in prison and dedicated his life to Puerto Rican independence. The book presents convincing evidence that radiation torture in prison hastened his death in 1965. The story is of both tragedy and heroism. As reported by the author, sugar cane production dominated the island economy in the 1930s; four U.S. companies owned half the arable land. Albizu led an island-wide strike of sugar workers in 1934. That and mounting Nationalist Party agitation triggered repression. Puerto Rico’s militarized police, the FBI, and U. S. Army collaborated in carrying out surveillance, intelligence gathering, and assaults on meetings and rallies. Massacres, assassinations, and disappearances ensued. In 1936, U.S. authorities imprisoned Albizu, who in 1937 began serving a ten-year sentence at the Atlanta federal prison. He spent the last three years of his term lodged in a New York hospital. Albizu returned in 1947 to a Puerto Rico burdened by economic troubles, pervasive fear, and an oppressive U. S. military. Nationalist Party recruitment was down. The island police, FBI, and Army intelligence shared secret police dossiers on 100,000 Puerto Ricans. Some 75,000 were under surveillance. A “gag law” criminalized even possession of a Puerto Rican flag. The climax came when the Nationalists launched armed assaults against symbols of authority. By the time the revolt began on October 28, 1950, informers had already alerted the police and army as to rebel plans. Thousands of U.S. troops descended on cities. Fighter planes bombed Jayuya and Utuado. Nationalists on a suicide mission struck at the governor’s residence. Two Nationalist Party members died trying to murder President Harry Truman. He had offended Nationalists by dismissing their rebellion as an “incident between Puerto Ricans.” Albizu was arrested and sent to La Princesa prison where would spend 14 years, almost his entire remaining life. Little optimism appears in these pages as to eventual national independence. In fact, Cubans preparing for their independence war against Spain had counted on a parallel Puerto Rican movement toward independence. Members of Jose Marti’s Cuban Revolutionary Party even devised Puerto Rico’s flag. Why did the two paths diverge? In 1898 when the United States was taking over remnants of Spain’s colonial empire, Cubans had already fielded two armies in two independence wars. Fighting for social justice and independence, they defeated Spain’s army. Such a record promised no good for U.S. aspirations to own Cuba. By contrast, in Puerto Rico the door was open. NextIt Was a Good War – But Whose Good War? It Was a Good War – But Whose Good War? Books, Arts and Culture	It Was a Good War – But Whose Good War?